At the recent American Society For Laser Medicine & Surgery meeting a hot topic was trying to decrease sensitivity in the skin from radiation treatments. In addition to Photobiomodulation ( LED specific treatment), a new topical called Strataderm can be used. 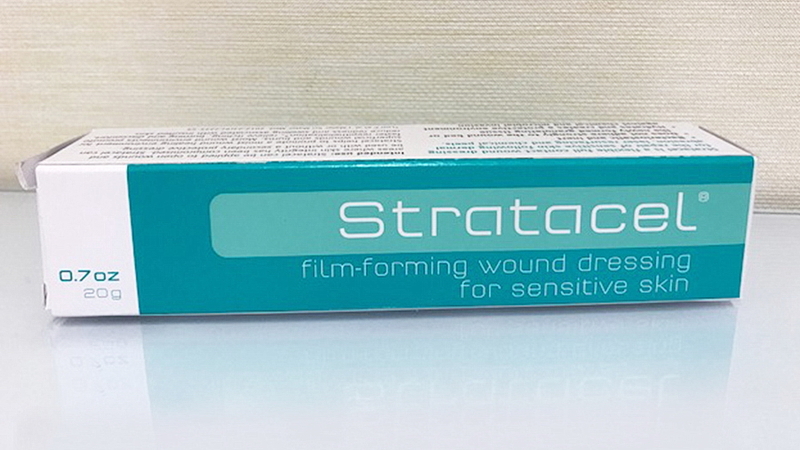 Strataderm is semi-occlusive film forming wound dressing that allows the skin to breathe and remain hydrated. Strataderm forms a durable, flexible and waterproof sheet. It does not penetrate into the epidermis or dermis. Strataderm restores the barrier function of the stratum corneum and reduces Trans-Epidermal Water Loss. The protected environment helps to normalize the level of collagen production while patients are healing from their radiation treatments. It’s good to apply after and in between treatments. As always- check with your radiation oncologist.